While eco-friendly engineering remains the hallmark of any Toyota Prius, the 2019 model has introduced a new AWD-e drivetrain to bolster performance. Explore the Johnson T. Janes and Parkersburg City Parks, with better handling on rainy, snowy or dirt terrain. Keep an environment-friendly footprint while adventuring through the Parkersburg city limits and beyond. The new 2019 Prius provides ample cargo space for hiking, fishing and camping gear. Add an optional bike rack or crossbars for a kayak and you can really carry everything, along with your everyday groceries. 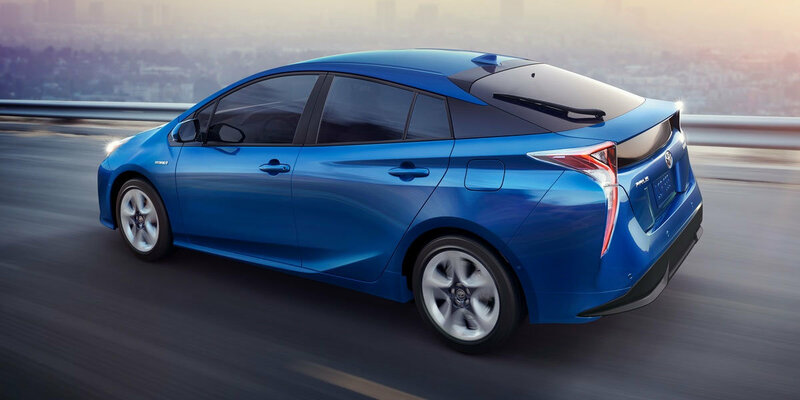 Your new 2019 Toyota Prius can do more than just the downtown Parkersburg Arts Center. 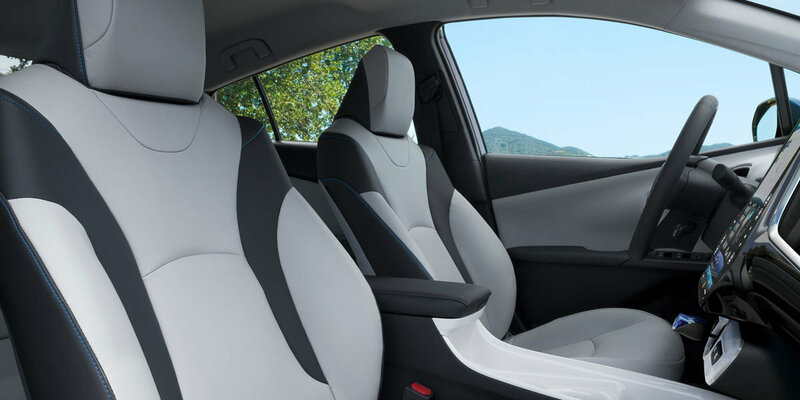 True to form, the entire Toyota lineup is protected by the Toyota Safety Sense™ P (TSS-P) safety monitoring package and it all comes standard on the 2019 Prius. Pre-Collision Pedestrian Detection protects everyone inside and out during busy downtown driving. Steering Assist and Lane Departure Alert, Automatic High Beams and Dynamic Radar Cruise Control keep you in control and ready for the unexpected. 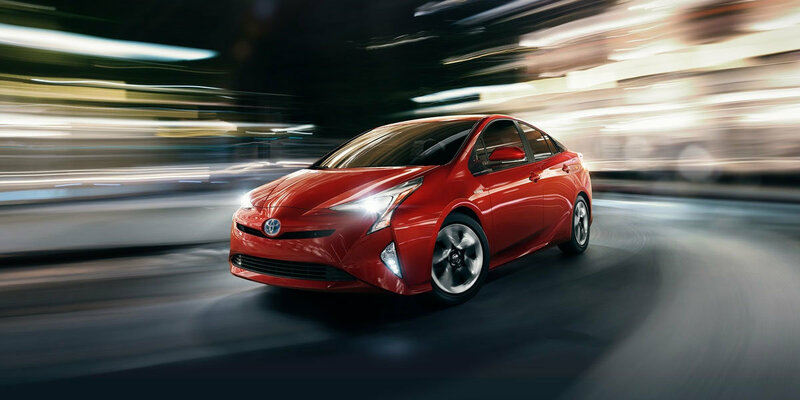 This new 2019 Toyota Prius, with a curvy aerodynamic exterior design, interior comfort and convenience features and enhanced performance, is now available at Superior Toyota. Call us today 304.424.5122 or come on down to the dealership. Whether you reside in Parkersburg, Bayard and Deming, Superior Toyota has the vehicle to suit your lifestyle. Come check out our huge selection of new Toyotas for sale. Find your 2019 Prius today! Instrument cluster screen size: 4.2 in. Instrument cluster screen size: 4.2 in. Instrument cluster screen size: 4.2 in. Instrument cluster screen size: 4.2 in. Instrument cluster screen size: 4.2 in. Instrument cluster screen size: 4.2 in. Infotainment screen size: 6.1 in. Infotainment screen size: 6.1 in. Infotainment screen size: 6.1 in. 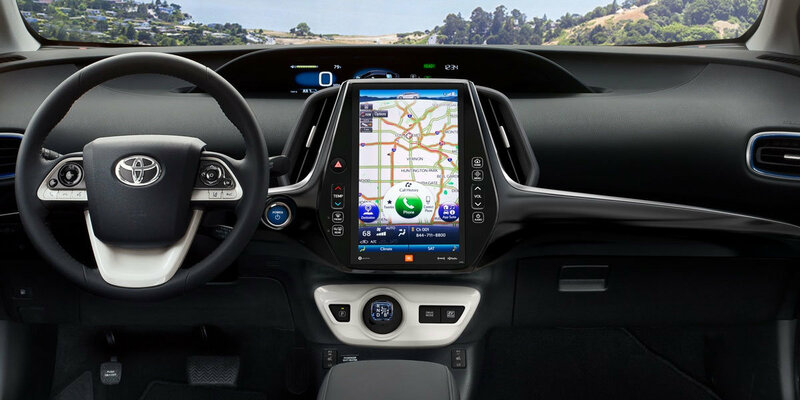 Infotainment screen size: 6.1 in. Infotainment screen size: 6.1 in. Infotainment screen size: 11.6 in. Includes 15-inch alloy wheels with p195/65r15 tires and power tilt/slide moonroof with sliding sunshade. Includes color head-up display with speedometer and hybrid system indicator and adaptive front-lighting system with auto-leveling headlights. 1. MSRP excludes the Delivery, Processing, and Handling Fee of $920 for Cars (Yaris, Yaris iA, 86, Corolla, Corolla HB, Camry, Camry HV, Prius LB, Prius c , Prius Prime, Mirai, Avalon, Avalon HV), $1045 for Small/Medium Trucks, SUVs and Van (C-HR, RAV4, RAV4 HV, Highlander, Highlander HV, 4Runner, Sienna, Tacoma), $1,295 for Large SUVs (Sequoia, Land Cruiser), and $1,395 for Large Truck (Tundra). (Historically, vehicle manufacturers and distributors have charged a separate fee for processing, handling and delivering vehicles to dealerships. Toyota's charge for these services is called the "Delivery, Processing and Handling Fee" and is based on the value of the processing, handling and delivery services Toyota provides as well as Toyota's overall pricing structure. Toyota may make a profit on the Delivery, Processing and Handling Fee.) Excludes taxes, license, title and available or regionally required equipment. The Delivery, Processing and Handling Fee in AL, AR, FL, GA, LA, MS, NC, OK, SC and TX will be higher. The published prices do not apply to Puerto Rico and the U.S. Virgin Islands. Actual dealer price will vary.